*Purchasers must settle on eligible titled allotments on or before 30th June 2019. Eligible lots include Lot 88 (savings of $7,467.50), Lot 31 (savings of $7,361.25), Lot 74 (savings of $6,957.50) and more. Savings are computed through RevenueSA’s Stamp Duty on Conveyances Calculator (available via https://www.revenuesa.sa.gov.au/taxes-and-duties/stamp-duties/calculators/stamp-duty-on-conveyances-calculator-new). Refer to project consultants for full offer details. Stamp duty savings (exclusive of any foreign purchaser surcharge) will be paid by Aspire at Evanston South at the time of land settlement. If the said allotment settles on or after 1st July 2019, the promotion is void and the purchaser will be responsible for meeting the full cost of the stamp duty. Not valid with any other promotions or offers. T&Cs apply. RLA 268 669. 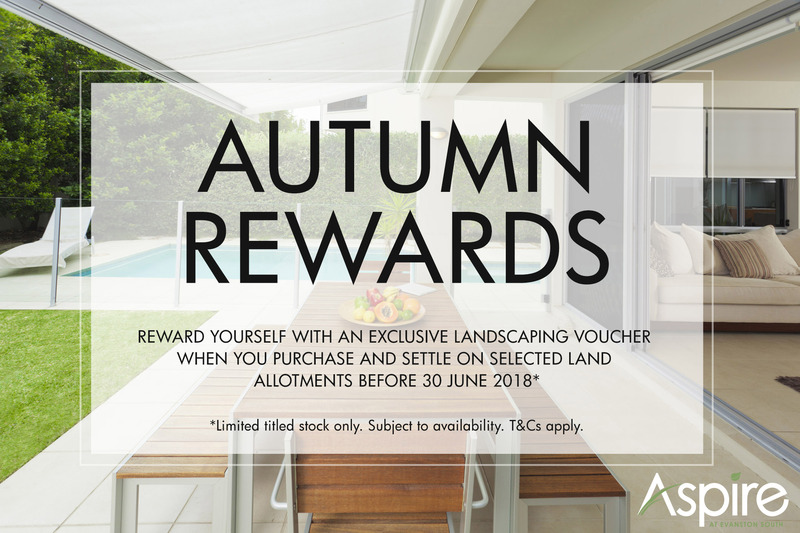 This Autumn we’re offering exclusive rewards on selected allotments at Aspire! This is a unique opportunity to build your dream home with a gorgeous garden and outdoor living area adjacent to Trinity College. For more information on our Autumn Rewards please call Luke on 0417 080 604 or Sagar on 0499 799 556. How did you discover Aspire? E: We both currently live here! Coincidentally both our parents live at Aspire and we both live at home. What made you decide to stay at Aspire? C: We also think Gawler’s really up and coming and Aspire’s in a great location. As first home owners, how did you find the process of buying and selecting a builder? C: Luke from Lanser was very helpful, and we are building with Hickinbotham. We selected our home design first then Luke helped us select the right block. The design we chose ticked all the boxes. E: We made a few modifications to the design but it was perfect for what we wanted. C: Both our parents built recently too so they’ve been a great support. For more info on their journey you can follow Erin and Callum on Instagram. We’re excited to announce a brand new land release at Aspire! 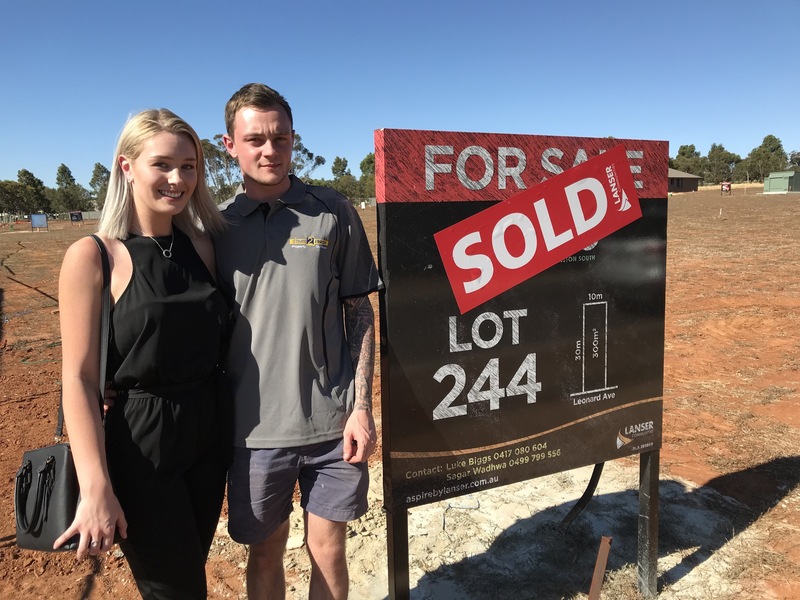 Located at an award-winning address in a premium pocket of Gawler – The Trinity Release Four offers a unique lifestyle opportunity. 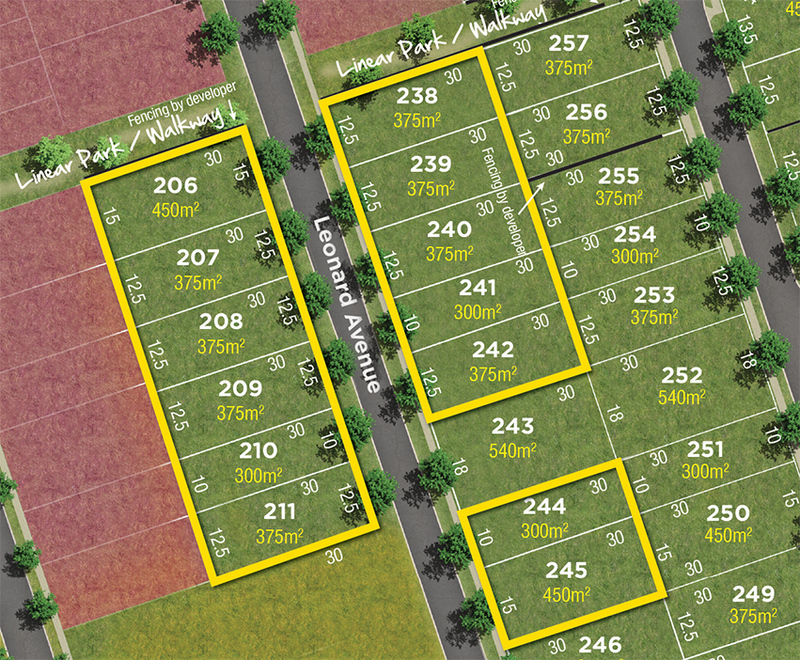 Each new block of land offers families direct pedestrian access to Trinity College, Gawler plus the local park, playground and Starplex Gawler. For more information call Luke on 0417 080 604 or Sagar on 0499 799 556. How did you end up moving from Mudgee to Adelaide? 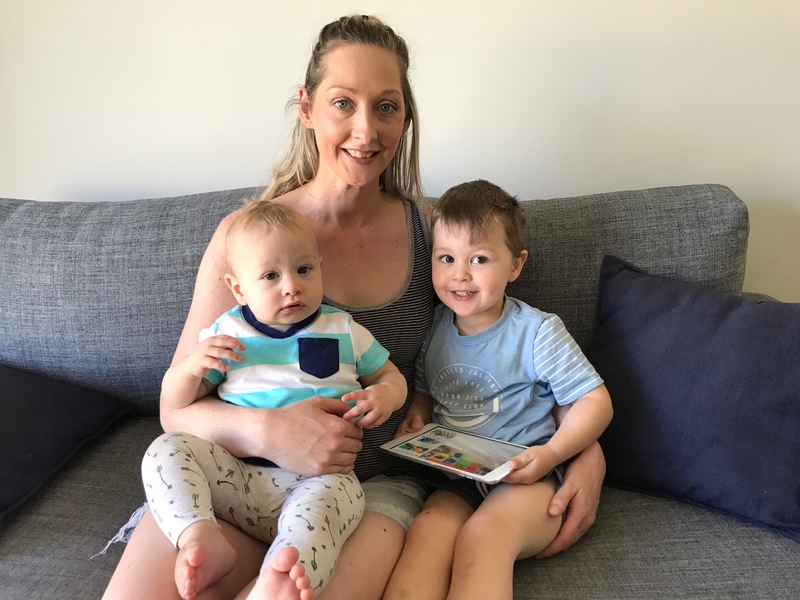 My husband works in Roxby Downs so it was easier for the family to be based in Adelaide. We loved Mudgee but it’s made my husband’s commute so much better. What made you choose to make Aspire home? We looked around at lots of developments, but because we’re from the country they all felt congested! We loved Aspire because it’s spacious, the school’s net door and we’re surrounded by farmland! What do you love most about living at Aspire? 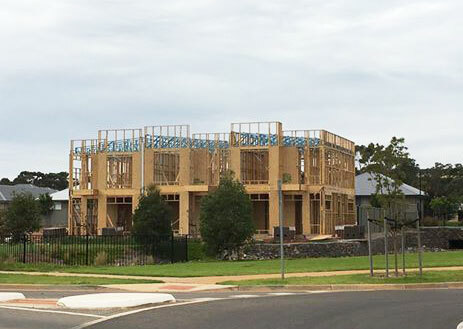 We’re excited that the second storey of our exclusive Greenslade townhouses has now gone up! Reserve-facing, these exclusive Aspire homes are being built by the award-winning Rivergum Homes and offer an affordable, sophisticated and low-maintenance place to call home at the heart of Aspire. For more information visit here or call Luke on 0417 080 604. Lanser Communities is proud to announce that Aspire at Evanston South has been awarded the prestigious Urban Development Institute of Australia (SA) award for Best Residential Development 2016. 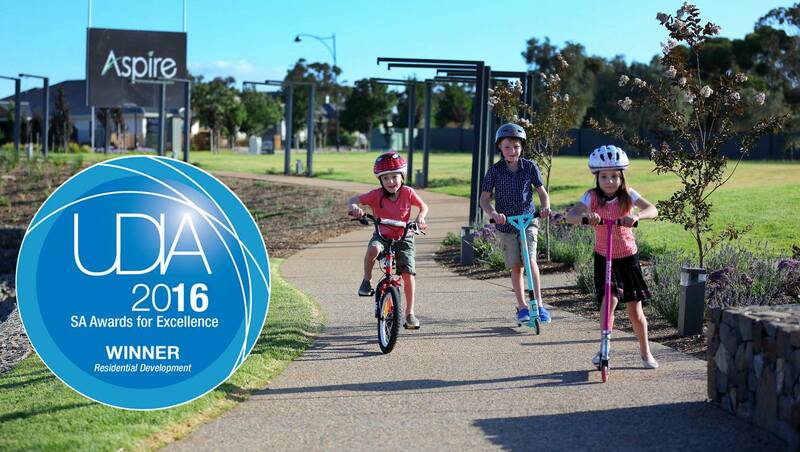 We’re thrilled that our passion for creating well designed, livable communities has been recognised by UDIA judges, and that Aspire continues to thrive with new families joining the community each week. Located in a premium pocket of Gawler on the eastern side of Main North Road, Aspire is a hop, skip and a jump from the beautiful Barossa Valley and only 35 minutes from the Adelaide CBD via the Northern Expressway. With lush reserves, an ornamental lake, a brand new playground and direct pedestrian access to Trinity College this family friendly community is perfect for first home buyers, growing families and empty nesters alike. Accordingly, a diverse selection of allotment sizes are available, ranging from 300sqm to 632sqm. With NBN connectivity, mains gas and its proximity to the STARplex centre, Aspire ticks all the boxes and we’re proud that it has been recognised as an award winning place to call home. Exciting news for our future Aspire Residents! Prime Minister Malcolm Turnbull has announced that Australia’s next generation of submarines will be built in Adelaide in partnership with French company DCNS. 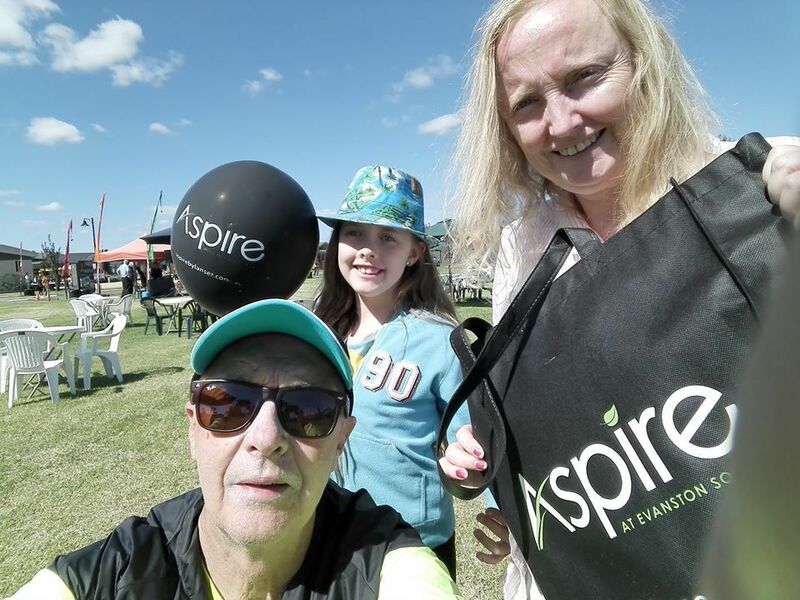 The team at Aspire would like to congratulate the Family Fun Day Selfie Winner. You and your family have won a $100 EFTPOS VOUCHER for your tremendous selfie efforts. 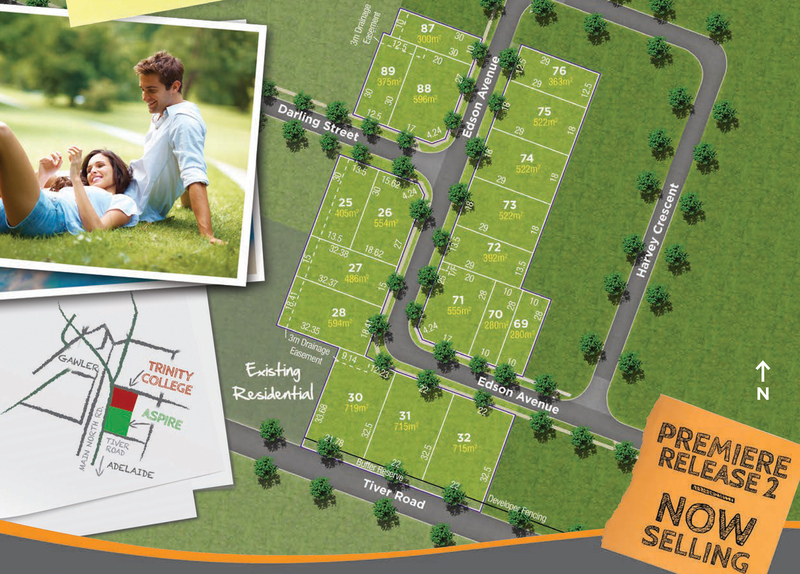 For more information on our current releases, please get in touch with our friendly sales consultant Luke Biggs on 0417 080 604. Have a safe, happy and enjoyable holiday. Please note our Sales Suite will be closed over the long weekend however our sales consultant will be available by appointment so please contact Luke on 0417 080 604. For more information call Luke Biggs on 0417 080 604. 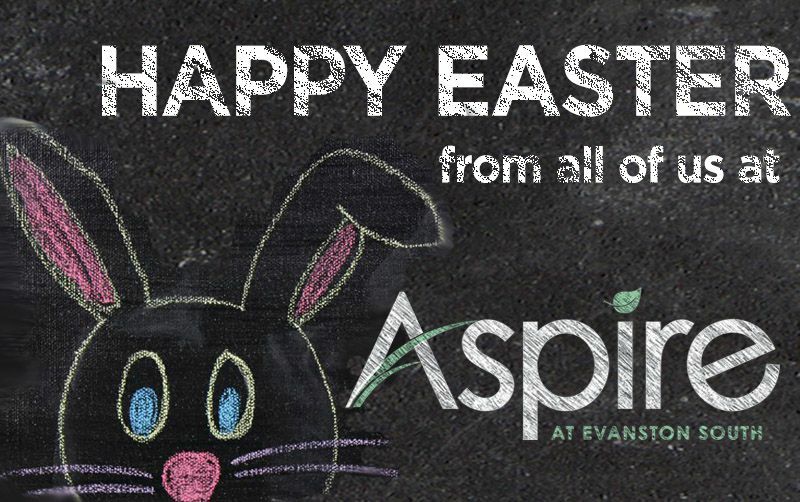 The team at Aspire would like to thank everyone for joining us at our free Family Fun Day on the 20th of March. A special mention to the talented musicians from Trinity College, the team at STARplex, Wilson Events, NBN, Koerner Wines and Mix 102.3 for their contributions on the day. THIS WEEKEND Aspire will be hosting a FREE FAMILY FUN DAY. Live music from Trinity College students along with radio giveaways and kids entertainment from Mix 102.3. There will also be a jumping castle for under 12’s and our exciting new playground and recreational area for teenagers. Come down to Greenslade Boulevard with the family this weekend for a free sausage sizzle and coffee cart from 11am until 2pm.